How do I Configure Double the Donation Integration? Double the Donation 360MatchPro provides an easy solution that allows donors to search for matching gift programs through their workplace. Virtuous Giving users can register for a new 360MatchPro account directly within Virtuous and even add a Company Match search widget to any donation form. To get started, make sure to switch to Virtuous Marketing. Look for the three dots in the upper-right corner of the screen, and click to switch from Virtuous CRM to Virtuous Marketing. Once there, click on the Settings icon at the bottom of the menu. Select the Forms tab at the top of the page. On the Forms tab, select Double the Donation on the left side of the screen. There, you should see an indicator inviting you to set up your account. Click "Set it Up Now" to sign up. On the following pop-up, complete the form and then click Save. You will now see the option to Create your account, which will activate a new 360MatchPro account. Double the Donation will send an email detailing some additional steps needed to activate your account. Once your integration is configured, when creating a donation form, look for the Plugins section on the left side of the screen to find the Double the Donation field. 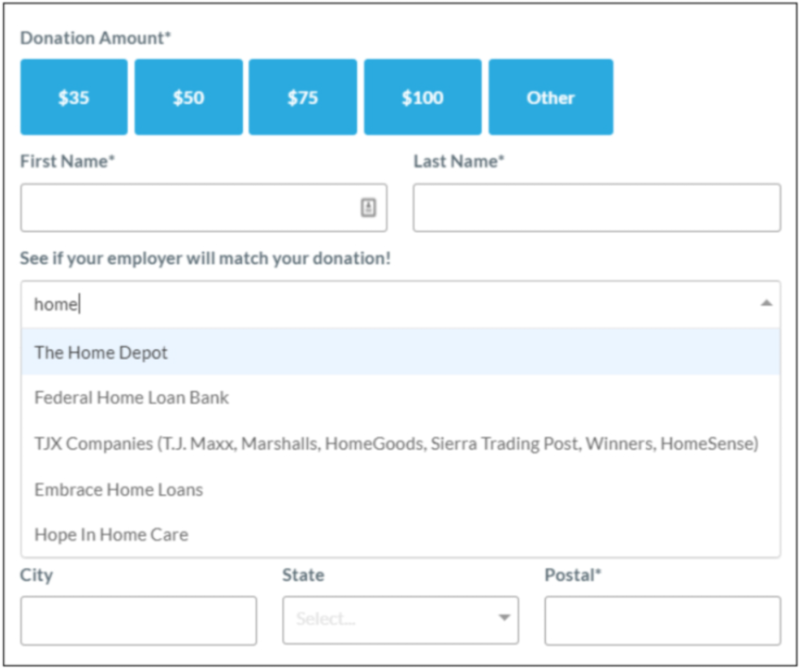 Click and drag to add the field anywhere on your giving form. Once added, the field will allow donors to search for their employer and identify potential matching contributions.